Check out our Cassie section for more posts about Cassie. 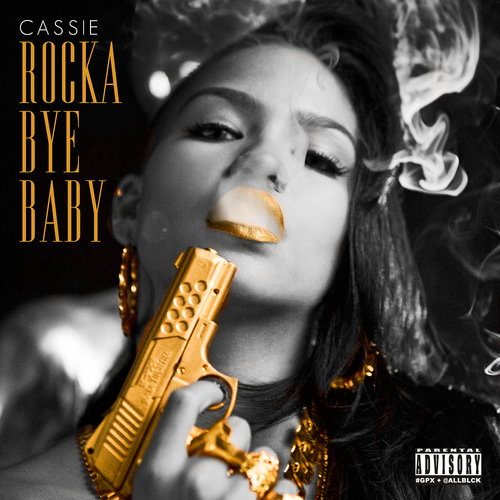 Cassie has released her new mixtape, "Rock a Bye Baby," for free download on DatPiff. The 13 song set features collaborations with Wiz Khalifa, Pusha T, French Montana, Rick Ross, Jeremih, Fabolous, Meek Mill, Too Short and Ester Dean. You can listen to it below and check out the cover and track listing. Posting a link to your blog or to any site you are affiliated with will probably get your comment deleted, unless we asked for it or it acts as a TrackBack. Asking why your comment was deleted will get your comment deleted. Please contact us instead. Attacking a blogger or fellow commenter instead of attacking their point will probably get your comment deleted. Treat our users and our guidelines with respect and you'll be fine. As long as you do that, we're happy to have you at the Bad Boy Blog. Please note that all comments made on entries that are at least 14 days old are moderated.